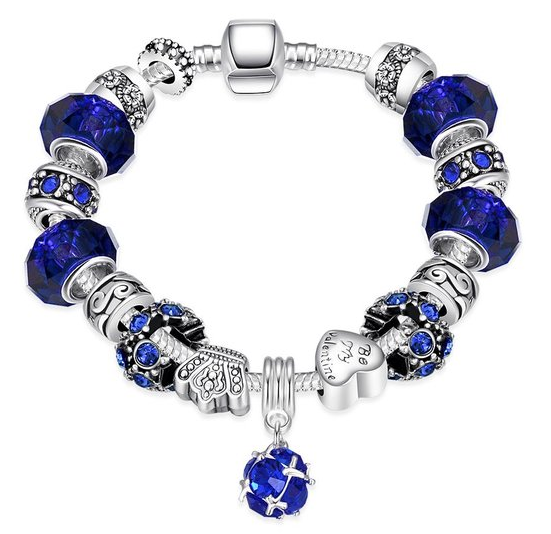 50 Shades of Aqua Blue Designer Inspired Bracelet Just $10.99! Down From $200! Ships FREE! You are here: Home / Great Deals / 50 Shades of Aqua Blue Designer Inspired Bracelet Just $10.99! Down From $200! Ships FREE! 50 Shades of Aqua Blue Designer Inspired Bracelet Just $10.99! Down From $199.99! Ships FREE! Tanga has this 50 Shades of Aqua Blue Designer Inspired Bracelet for just $10.99 (Reg. $200)! Spoil yourself or someone you know this beautiful irresistible designer inspired bracelet for any occasion and sure to get a lot of attention! No matter if you’re shopping for your own mother, or your grandmother, wife, daughter, or granddaughter, touch their heart with this beautiful, stunning and unique pair of jewelry.